Towel warmers are a great convenience during the cold seasons and they don’t have to look bland and simple. Towel warmers can come in different designs and styles to suit the overall look of your bathroom. Here are 5 easy steps in buying designer towel warmers. This is the first thing you should do before searching for a towel warmer to install in your bathroom. The size of your bathroom may differ from the one you saw in a vendor’s brochure or catalogue. You need to make careful measurements of the area where the towel warmer is to be placed. If you are having doubts or don’t want to go through the measuring task, you can always call a plumber or your contractor to do the measurements for you. This will help avoid measurement mistakes which may be costly in the end. Are you buying a new towel warmer to replace a worn out one? Or is this for a newly constructed or renovated bathroom? Either way, you should consider your budget when looking for towel warmers as you browse over the different designs in manufacturers’ sites. Having a set budget helps you shortlist your options and avoid overspending. If money is not an issue, you can select freely from the many designs available. 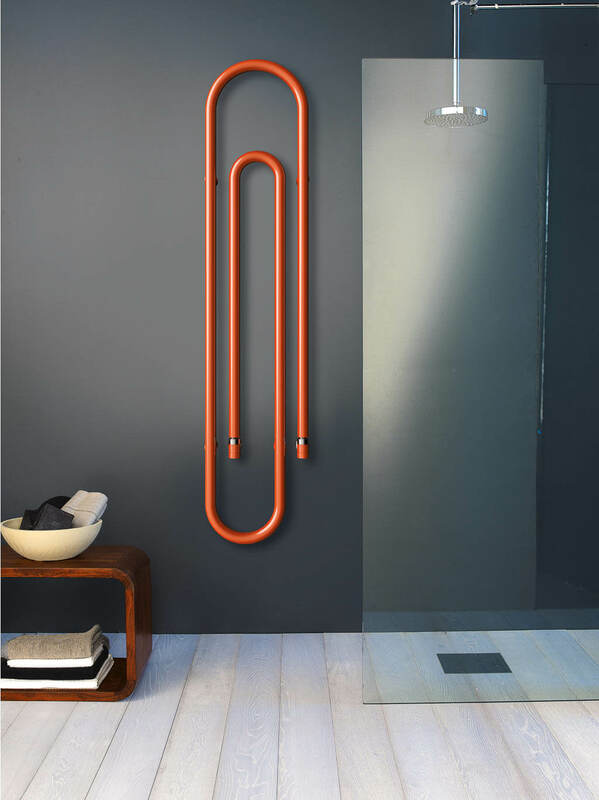 Towel warmers can be made from different metals. Two of the more popular materials used in making radiator ranges are steel and brass. The selection of the material for your towel warmer will depend on the design of the bathroom. For a more contemporary look, stainless steel goes well with a modern-designed bathroom because of its clean color. If your bathroom is more of the classic design, brass will definitely look better because of the brownish hue. Of course you should match the color of your towel warmer with that of other bathroom fixtures like the faucet and the shower head. Like choosing the material, the design of your towel warmer will depend on the look of your bathroom. It may also depend on your personal taste. Towel warmers range from the simple grill design to more complex ones that can add accent to the bathroom’s style. The bars can be round or square with the former matching a classic bathroom and latter for a more modern one. It can also be standing, hanging, or wall mount. You can also have an interior decorator choose one for you. Towel warmers are intended to adorn your bathroom for a long time so you should get ones that are of high quality. How do you make sure? Do some research on your own. Use the Internet to browse over the sites of towel warmer makers. Read reviews from customers who have bought from a particular supplier. You can also ask your contractor on which brands they prefer. When you have gathered a list of reputable towel warmer makers, do an intelligent selection by comparing each one over the other.